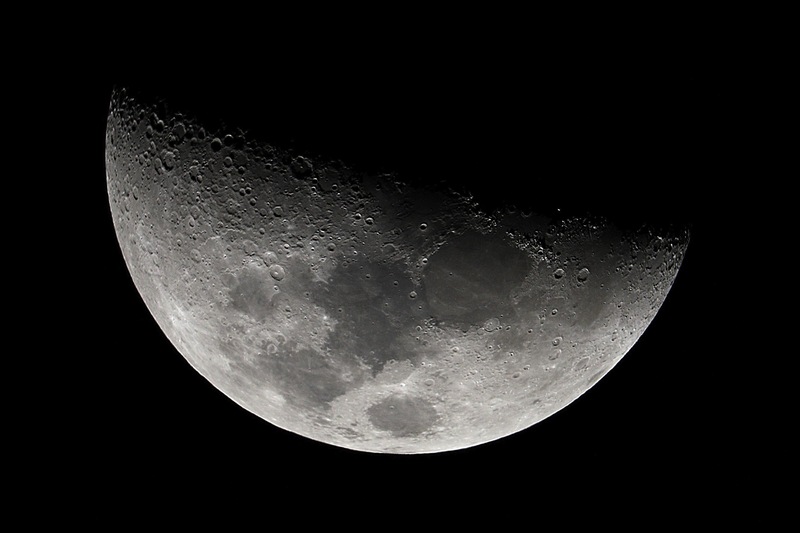 Quarter Moon - The best place to look for details on the Moon's surface is the terminator, or the dividing line between the illuminated and unilluminated part of the Moon. This is because at the terminator, the Sun's light strikes at an angle with respect to observers on Earth, thus casting the elevations and depressions on the moon's surface (like mountains and craters) into relief. Look for these features in this picture of the first quarter moon. There is no terminator during a full moon which makes these same features less visible during that phase.